Casual Turtle Campers was founded on the belief that wood is good, small can be comfortable, and that there is still room for simplicity in this increasingly complex world. The idea for Casual Turtle Campers was conceived by Peter Pavlowich in the summer of 2010. On a road trip to Colorado, he noticed an abundance of truck campers but a profound lack of variety or style. 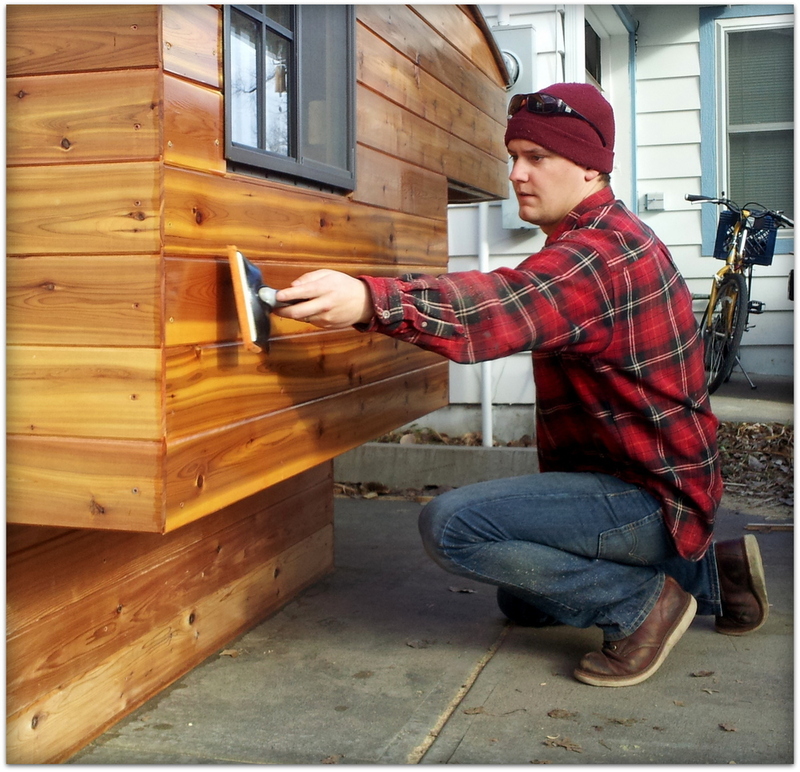 As a Wood Construction and Design graduate from the University of Idaho, he believed he could design and build a simple and attractive alternative to the big, heavy, white boxes that he seemed to see everywhere. Over the next few years, Peter slowly and methodically brought together ideas and drew up plans for what would eventually become the designs for Casual Turtle Campers. He very happily lives in Fort Collins, Colorado with his wife, Lindsey, and their dog/shop foreman, Moxie. We love when people stop by – just get in touch! When John Steinbeck traveled across the country in 1960, he did it in a truck camper, in part, of his own design. In his book about his voyage, Travels With Charley, he wrote, “I had to go alone and I had to be self-contained, a kind of casual turtle carrying his house on his back…. I wanted a little house built like the cabin of a small boat.” At Casual Turtle Campers, we take this to heart – with plenty of oiled wood and a distinctly nautical feel on the interior. Casual Turtle Campers differ from conventional campers in their simplicity. By omitting many of the complicated, heavy, and often unnecessary features of traditional campers, we end up with a very cozy, airy feel – especially for the size of the space. With limited headroom, entering a Casual Turtle Camper encourages one to sit or lie down and relax – which adds to its comfortable feeling. While not for everyone, our campers do appeal to those who not only can, but prefer to do with fewer amenities.